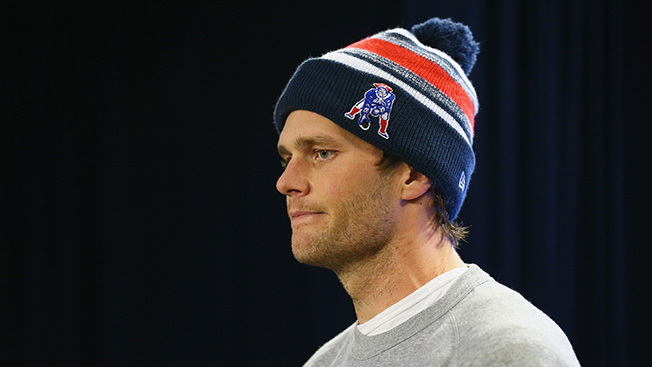 Is Tom Brady’s Brand Too Big to Fail After Deflategate? As retired baseball player Mark McGwire and cyclist Lance Armstong have learned, being branded a cheater can ruin a sports star's marketability. On Wednesday, Tom Brady was singled out by the National Football League's "Deflategate" investigation, which concluded that it's "more probable than not" the quarterback had something to do with the under-inflated footballs he had the fortune of firmly gripping and accurately throwing during the rain-soaked AFC Championship Game in January. The superstar denied the allegations after the game and before winning the Super Bowl, and today he expressed disappointment in the NFL's findings. Yet, talk radio has been abuzz, calling him a liar and a cheater in some instances. Adweek reached out to Brady sponsors Under Armour, Uggs and Movado to find out whether they planned to take action, but they didn't respond by press time. So, we asked four sports marketing experts if Brady—once deemed a "Brand God" on a print cover of this very publication—could lose favor with Corporate America's marketers because of Deflategate. Bob Dorfman, creative director at Baker Street Advertiser, said, "No way will any of his existing sponsors drop him. They might lay low for a time, until this all blows over, possibly waiting to see how severe he's penalized by the NFL. But once he's back on the field, they'll be back using him in their marketing. Brady's too iconic and likable a figure to be dropped over what could be considered an act of 'gamesmanship.'" Ed Mitzen, founder of Fingerpaint Marketing, agreed with Dorfman that there will be no major repercussions. The four-time Super Bowl champion's problems are less severe or upsetting, he said, when compared with the NFL's physical-abuse-based nightmares with running backs Adrian Peterson and Ray Rice. "It will have virtually no effect on his sponsorship marketability," Mitzen predicted. "When you evaluate this 'condemnation' versus the illegal and moral compromises by many other professional athletes, this is a speed bump. If he wasn't a proven winner, no one would give this a second thought. And sponsors love aligning themselves with winners." But Jeff Howle, svp and director of experiential at Erwin Penland, strongly disagreed, believing the NFL will sanction Brady. It seems more likely than not the league will take some kind of action against the sport's golden boy. "If the league rules to suspend him, it will definitely hurt his sponsorship value/endorsements in the short term," Howle said. "Brands will have to closely evaluate their relationship with him and many could/will back out of their sponsorship deals. Nationally, he'll be vilified; however, his local reputation could rebound much quicker based on the die-hard 'us against the world' mentality of the New England fan base." Lionel Knight, svp at Upshot, is of a similar mind. "On the national and even international stage, I'm sure this will affect Tom Brady's commercial standing," he said. "At the very least, it's going to make any brand hesitate before tying themselves to a figure who—in some people's minds, at least—is forever tarnished." Deflategate "might possibly hurt any new deals in the works, but [it is] doubtful there is anything new," Dorfman said. "Brady doesn't really seek out ad deals aggressively—[he] would rather spend his spare time jetting from the Kentucky Derby to the Mayweather-Pacquiao fight." But, someday Brady will retire and may want to earn more endorsement money. The question is, does his future with brands look more like football's saint (Joe Montana) or baseball's damned (Mark McGwire)?